This is my Home Page. by clicking on the links above, you'll learn something about me: a bit of history, maybe a bit about my work experiences; a little about what makes me tick, and what has kept me going these 80 years. On this page, I'll introduce myself. 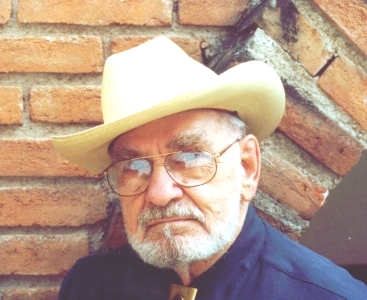 My full name is Kenneth Walter Christopherson, but I have been known as: "Bud or Buddy", to my family; "Pancake", to the kids in the country school in Minnesota, "Kenny" in high school; "Chris",in the army; "Mister Chris", to my students in Houston; and "Don Quen", to the villagers in Mexico. I put a couple of pictures of myself on this page... and another picture that I am especially proud of, my Army Division Insignia. Having lived now for eight decades, I have a lot of memories to share with my family and friends. I hope that these pages will prove interesting to you, especially to my Grandchildren who probably don't know much about my life before I became a Grandfather. 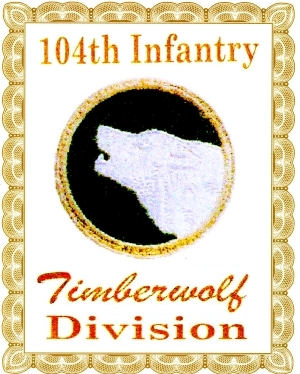 I AM A PROUD VETERAN OF WORLD WAR TWO, HAVING SERVED IN THE ARMY MEDICAL CORPS AS A SURGICAL TECHNICIAN IN THE 1st BATTALION AID STATION, 414th REGIMENT, 104th INFANTRY, THE "TIMBERWOLF" DIVISION, FROM NOVEMBER, 1942 THROUGH OCTOBER, 1945. 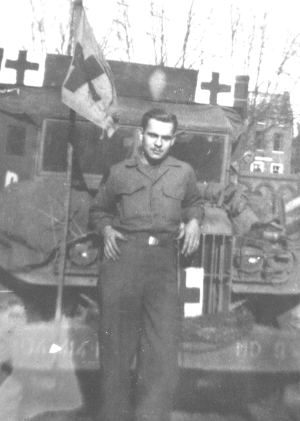 I SAW COMBAT IN HOLLAND, BELGIUM AND GERMANY. ANOTHER SITE BY THE OLD TIMBERWOLF. Click on this link, or copy it and paste it in your address bar.